PBSC instructor Raul Sandoval of West Palm Beach Fire Rescue demonstrates water operations to one of the 12 firefighters from Chile. 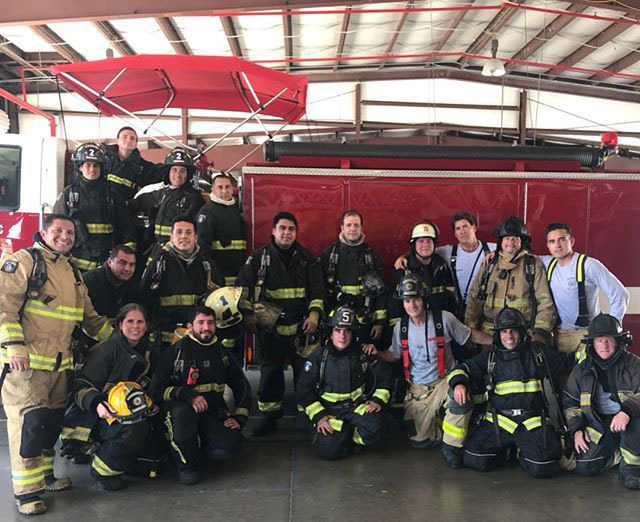 In Chile, all firefighters are volunteers, but they are every bit as professional and dedicated to training. In fact, a dozen concluded a weeklong session of advanced training at Palm Beach State College’s Fire Academy on April 20. The firefighters came to the Fire Academy by way of a partnership with Mutual Aid Fire Training, run by Danny Sheridan, who is also a battalion chief for the Fire Department of New York in the South Bronx. He brought a group to PBSC five years ago and had been impressed. Kerry is Kerry Weiss, PBSC Fire Academy’s interim director. He welcomed this cooperative effort between the two countries and the opportunity to pass on experience. Chilean firefighters and PBSC instructors at the PBSC Fire Academy in Lake Worth for advanced training April 16-20. Weiss noted that the training worked out well for the volunteers, who liked the Lake Worth campus and the facility. Among the firefighters were several engineers and a physician, and all took time on their own to come to PBSC. 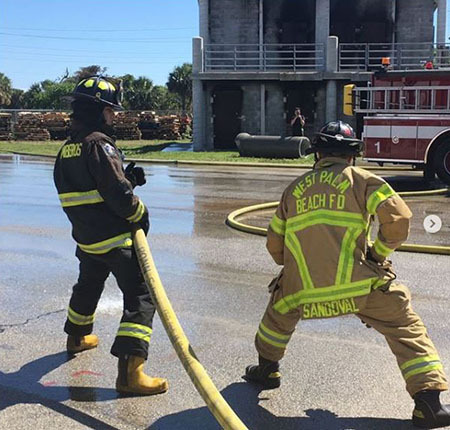 The classes were conducted with the help of some of PBSC Fire Academy’s Spanish-speaking instructors, who are currently on-duty firefighters with West Palm Beach Fire Rescue. The academy is Sheridan’s go-to choice for training. See more photos on MAFT’s Instagram page. En chile existen bomberos de profesión. Bomberos de aeropuerto de la DGAC. ¡Saludos! Thanks for clarifying that there are firefighters by profession in Chile: the Airport firemen of the DGAC.